When needing inspiration in life, it can come from all sorts of places or things that mean something special to us. Sometimes it can simply be evocative words, a haunting song or a treasured piece of jewelry that reaches down and touches our very being. Living today is stressful and so often, having some kind of inspiration from which to draw strength and face the next day eases the way to deal with daily trials and tribulations. Living a life with no inspiration can be very lonely and depressing. Wearing a special piece of jewelry can get us inspired, and bring inspirational thoughts can move us and motivate us to action and commitment. As Pablo Picasso said, "Inspiration exists, but it has to find you working." 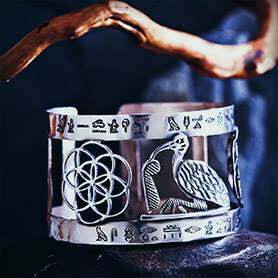 Inspirational jewelry goes right back to sacred symbols and Talismans built of iron and stone and embedded with crystals and gemstones. 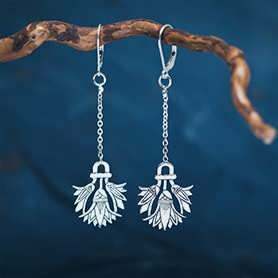 These pieces were made with deep meanings and intended to inspire their apparent mystical powers with the wearer. 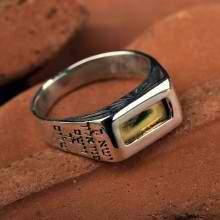 Engraved messages, stamped symbols or crafted gemstones all carried heartfelt messages to the person donning the jewelry. 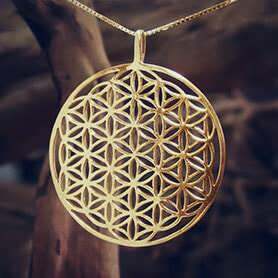 Symbolism, mystic rituals and Talismans appear to have a large following from eastern religious communities - such as Kabbalah, Buddhism, Egyptian wisdom, Jewish tradition, Tibetan Buddhism and other sacred concepts, including sacred geometry. 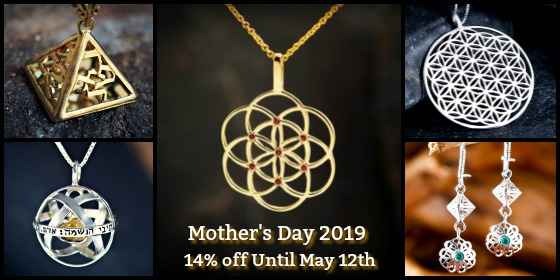 The jewelry artist David Weitzman says, "My jewelry designs are the keys meant to help people reach self-fulfillment, abundance, mental balance, and happiness." 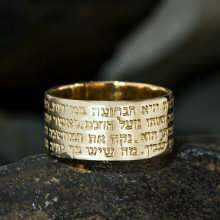 David Weitzman is an exceptional and inspirational jewelry craftsman. Each piece he makes is infused with his passion and his love for his work and it is combined with the beauty and meaning of the ancient history or inspiration with which the piece is associated. 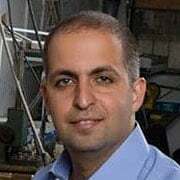 David has spent many years studying the meaning of life and reading and interpreting sacred knowledge from around the world. 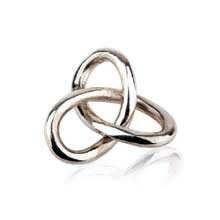 The Gordian knot is the simplest kind of Torus knot and it represents the idea of one God and the holy trinity - much like the Irish shamrock does. 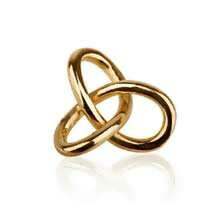 Wearers of the Gordian Knot claims that some of their longtime problems are solved in mysterious ways. 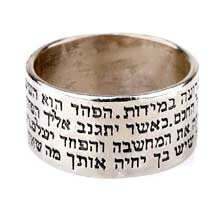 David's Happiness Ring is engraved with the words "This will also change" to inspire and remind the wearer that life changes all the time and there is no reason to cling to them. 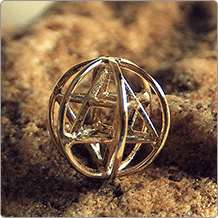 Success and protection are part of the Five Metal Ring concept. 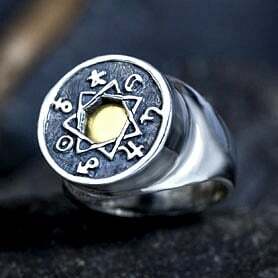 It is imbued with Kabbalistic symbolism and can only be made at a certain date and time - between 01h00 and 06h00 when Jupiter and the moon are aligned in a certain way. 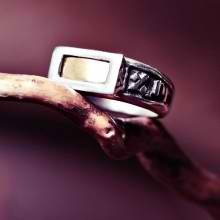 The ring then captures the power of Jupiter and passes it on to the wearer - inspiring development, growth, and success. Inspiration is an entirely subjective feeling - what inspires one person may not affect the other at all. However, to feel inspired is an all-consuming feeling of new energy and a positive view of life around you. 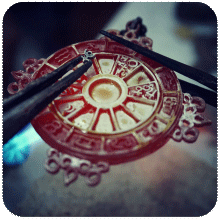 Jewelry can be infused with healing powers, protection abilities or simply ensure your good health. 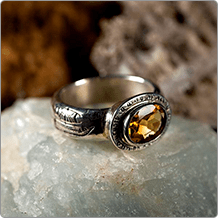 In this way, jewelry reminds us of who we are and what we are striving for in our life. 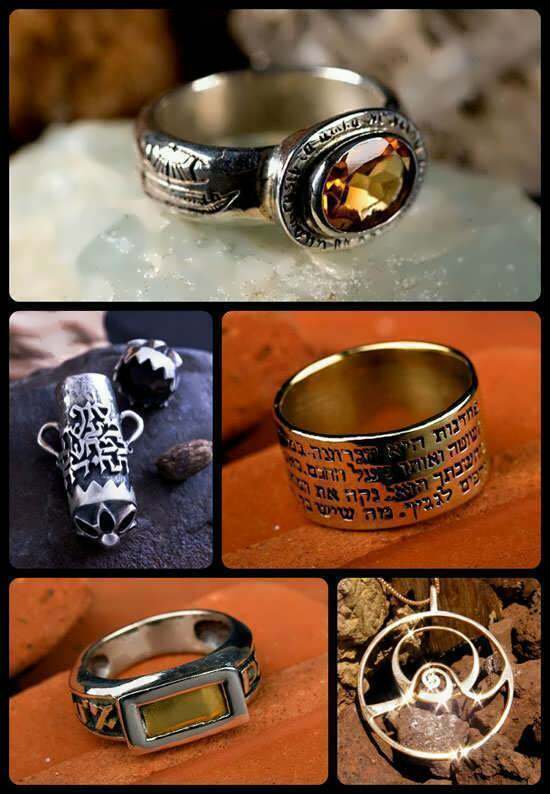 David continues to make his masterpieces inspired jewelry and still find times to seek-out that great life truth he is looking for.